Mr. Capps has been a member of our Board since July 2004 and in September 2015 was named to the additional position of Co-Chief Executive Officer. 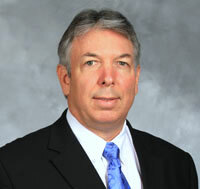 In June 2006, Mr. Capps was appointed as our Executive Vice President and Chief Financial Officer. From July 1999 until May 2006, he was the Executive Vice President and Chief Financial Officer of TeraForce Technology Corporation, a publicly-held provider of defense electronics products. From 1996 to 1999, Mr. Capps was Executive Vice President and Chief Financial Officer of Dynamex, Inc., a NASDAQ-listed supplier of same-day transportation services. Prior to his employment with Dynamex, Mr. Capps was Executive Vice President and Chief Financial Officer of Hadson Corporation, a New York Stock Exchange-listed energy company. Mr. Capps is a Certified Public Accountant and was formerly with Arthur Young & Co. Mr. Capps holds a Bachelor of Accountancy degree from the University of Oklahoma. 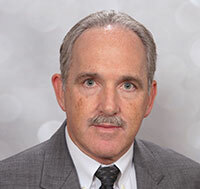 Mr. Capps has over 35 years of financial experience, including more than 20 years as chief financial officer for several public companies, including ours. Guy Malden has served as our Executive Vice President of Marine Systems since January 2004 and in September 2015 was named to the additional position of Co-Chief Executive Officer. 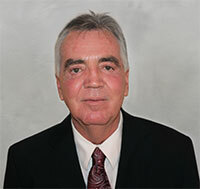 Mr. Malden has over 35 years experience in the geophysical industry and has been with Mitcham Industries since 2002. From 1999-2002, he served as Vice President of Operations for American International Exploration Group. From 1993-1999, he served in various management capacities with several seismic equipment manufacturers, most notably Syntron, Inc. From 1975-1993, Mr. Malden served in various field and management capacities with Geophysical Service Inc./Halliburton Geophysical Services. Mr. Malden holds a Bachelor of Science degree in Marine Geology from Long Island University. Frank Cobis was named Vice President - Klein Marine Systems in July 2016 and leads Klein Marine Systems as Vice President and General Manager. Mr. Cobis possesses more than 30 years of experience in program management, engineering and operational management within the marine electronics industry. Cobis joined Klein in 2004 as the vice president of programs. In this capacity, he managed navigation, maritime security and sonar projects for both domestic and international customers. Prior to joining Klein, Cobis served as general manager of L-3 SeaBeam Instruments, a leading provider of ocean mapping sonar systems used in government, commercial and research environments. Cobis holds degrees from Wentworth Technical Institute and Eastern Nazarene College. Dean Dennison was named Vice President - Leasing Operations in July 2016 and started his career in the geophysical business in 1980 working as a field hand in Canada. From 1981-1985 he worked in Papua New Guinea, Australia, Brazil and the USA in various technical and management positions with United Geophysical/Seiscom Delta United. Mr. Dennison studied electronics at Marion Technical School. From 1988-1990 he worked as a technical supervisor and field manager for Veritas Geophysical in both Canada and USA. From 1990-1999, Mr. Dennison co-owned a small geophysical acquisition company in Ohio where he was instrumental in designing, planning and executing some of the first 3D land seismic shoots in the Northeast United States. In 1999 he moved to Mitcham Industries as Sales Manager in Canada, eventually becoming General Manager for Canada and South America. Mark Welker was named Vice President - Seamap in July 2016 and has more than 25 years' experience in the manufacturing sector of the marine seismic industry. He began his career in 1982 with Syntron Inc, Houston, Texas (now Sercel Inc). During 1992 - 1996, as Managing Director of Syntron Asia Pte Ltd, Mr Welker established a purpose-built streamer manufacturing and repair facility in Singapore. From 1996 - 1998, he relocated to Syntron Inc as Vice President of Worldwide Manufacturing, during which time he also established and managed the Zhong Hai Syntron Joint Venture Cable factory in Tanggu, China. 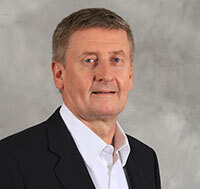 Mr. Welker returned to Singapore in 1998 as Managing Director of Sercel Singapore Pte Ltd. In 2001, Mr. Welker became Managing Director of Seamap Pte Ltd in Singapore which Mitcham acquired in 2005. 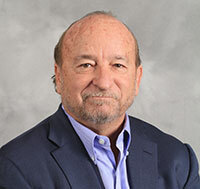 Peter H. Blum was elected Non-Executive Chairman of our Board on July 8, 2004. Mr. Blum is Co-Chief Executive Officer and Co-President of Ladenburg Thalmann & Co., Inc., an investment banking firm, where he has been employed since 2004. Prior to 2004, Mr. Blum was a senior investment banker with various Wall Street firms. Mr. Blum started his career with Arthur Young & Co. as a Certified Public Accountant and received a Bachelor of Business Administration degree from the University of Wisconsin-Madison. Mr. Blum has over 25 years of experience as an investment banker in the energy industry during which time he provided consultation and advice to a variety of companies. He also has extensive experience in financial and capital markets. R. Dean Lewis retired in 2011 as the Vice President of Finance and Administration at Sam Houston State University, a position he held since June 2008. From October 1995 to June 2008, he was the Dean of the Business School at Sam Houston State University. From 1987 to October 1995, Dr. Lewis was the Associate Dean and Professor of Marketing at Sam Houston State University. Prior to 1987, Dr. Lewis held a number of executive positions in the banking and finance industries. Mr. Capps has been a member of our Board since July 2004 and in September 2015 was named to the additional position of Co=Chief Executive Officer. 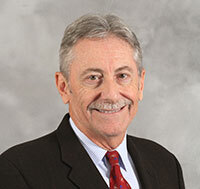 In June 2006, Mr. Capps was appointed as our Executive Vice President and Chief Financial Officer. From July 1999 until May 2006, he was the Executive Vice President and Chief Financial Officer of TeraForce Technology Corporation, a publicly-held provider of defense electronics products. From 1996 to 1999, Mr. Capps was Executive Vice President and Chief Financial Officer of Dynamex, Inc., a NASDAQ-listed supplier of same-day transportation services. Prior to his employment with Dynamex, Mr. Capps was Executive Vice President and Chief Financial Officer of Hadson Corporation, a New York Stock Exchange-listed energy company. Mr. Capps is a Certified Public Accountant and was formerly with Arthur Young & Co. Mr. Capps holds a Bachelor of Accountancy degree from the University of Oklahoma. Mr. Capps has over 35 years of financial experience, including more than 20 years as chief financial officer for several public companies, including ours. 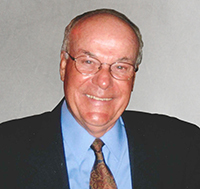 Robert J. Albers was appointed to our Board in January 2008 based on the recommendation of the Nominating Committee. Mr. Albers currently manages Bob Albers Consulting whereby he acts as corporate management advisor to the management of the Sercel Group, a global manufacturer of geophysical equipment. From 1995 to 2002, he was Executive Vice President of Sercel, Inc. From 1990 to 1994, Mr. Albers served as Vice President and General Manager of Halliburton Geophysical Products. 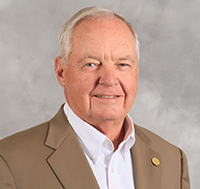 In 1982, he joined Geosource, Inc. and served as President and General Manager, Operations and Technology Group; from 1963 to 1982, he held various management and leadership roles at Chevron Oil Company. Mr. Albers holds a Bachelor of Science degree in Mining Engineering from Lehigh University. 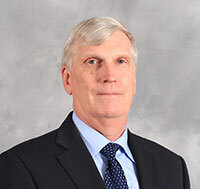 Mr. Albers has more than 30 years of experience as a manager and executive in the seismic industry. He possesses broad technical expertise in the seismic industry. Since 2003, Mr. Thomas Glanville has been managing partner of Eschelon Advisors, LP, Eschelon Energy Partners, LP, and affiliates, providing energy and private equity investment and advisory services. From 1999-2002, Mr. Glanville served as vice president of technology and new ventures for Reliant Energy, Inc., one of the world's largest international energy services companies, and its affiliate, Reliant Resources, Inc. He currently serves on the board of directors of the privately-held oil and gas exploration and production company Strand Energy, L.L.C and as Chair of the Audit Committee of Itron, Inc, a publicly traded electric, gas, and water meter manufacturing, metering technology and systems company. He also serves as chairman of the Texas Tri-Cities branch ( Houston, Austin, San Antonio) of the National Association of Corporate Directors (NACD). Mr. Glanville graduated with an M.S. in Mineral Economics from the Colorado School of Mines and holds a B.A. in Economics from the University of Virginia. Marcus Rowland is Senior Managing Director and founding partner of IOG Capital, LP, an oil and gas investment company. Recently, he served as the Chief Executive Officer at FTS International, Inc. (formally Frac Tech International, LLC). He served as the President and Chief Financial Officer of Frac Tech Services, LLC and Frac Tech International, LLC from November 2010 to May 2011. He is the former Executive Vice President and Chief Financial Officer of Chesapeake Energy Corporation, where he worked for 18 years in roles of increasing levels of responsibility. 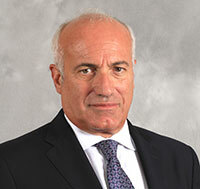 Mr. Rowland served as Chief Operating Officer of Anglo-Suisse, LP from 1990 to 1993, assigned to the White Nights Russian Enterprise, a joint venture of Anglo-Suisse, LP and Phibro Energy Corporation, a major foreign operation which was granted the right to engage in oil and gas operations in Russia. Mr. Rowland currently serves on the Board of Directors of Warren Resources, a publicly-traded exploration and production company, as well as on several privately-held energy companies and community banks. He received his Bachelor's degree from Wichita State University.